As a lot of you will know, this forum has branched from an attempt to create something a bit more modest from 'The Descendants of Families from Co. Donegal' Facebook group. 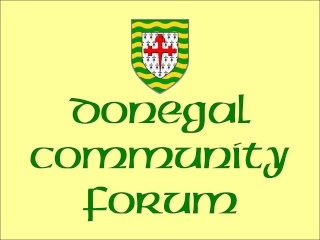 In an effort to set up a base for us to share our Donegal connections I requested information from the members of the group and had such a fantastic response that it seemed clear that a Facebook group wasn't adequate. It is clear from the response that we share a deep interest and pride of our Donegal heritage. My aim for this forum is to have a place where we can exchange memories, stories and family history information and hopefully find friends (old and new) and maybe even family members along the way. As this is my first attempt at something like this it may take a a while to get things running smoothly. I welcome any ideas and suggestions that you may have for topics and ways to build a better community. Please feel free to contact me if you are unsure of anything or need any assistance.